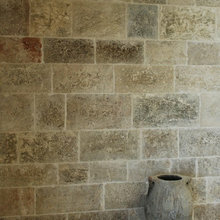 Euro Laguna blends the absolute best in modern stone technology, with an artisan level of craftsmanship and quality. 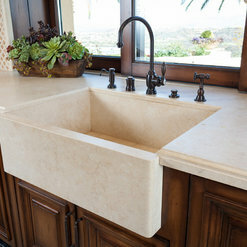 We have operated in California as a stone fabricator and installer since 1989, working predominantly on large custom homes in the coastal areas of Orange County, California. The training our founder received at the prestigious Valle Giulia University of Architecture in Rome is key to our craftsmanship and to the artisan nature of the stone we render. We have invested in state of the art digital machinery, and together with our years of experience, we can meet the demanding quality and performance standards of high-end projects without compromising the artisan intricacies of today's projects. 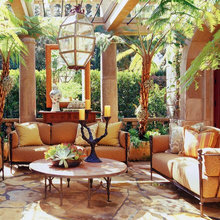 Euro Laguna offers a full natural stone service from project inception to finish. Our trained staff will be with you at every step of the project. We are there to help with design or budgeting issues; on site resolving practical stone issues and similarly helping to suggest/source materials. We follow your design concept but our experience means no project is beyond rendering in stone. 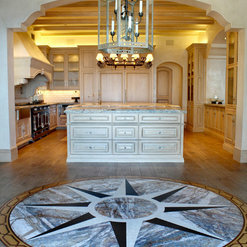 10 Projects for Euro Laguna Marble, Inc.
3 Reviews for Euro Laguna Marble, Inc.
We were highly recommended by our interior designer to have Euro Laguna do the stonework in our new home in Laguna Beach. Our home is modern with clean lines. 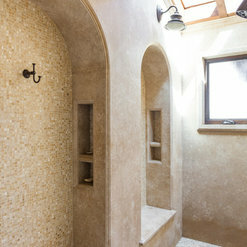 The workmanship and installation was beyond our expectations, from the limestone slab entryway and fireplaces to the bathroom intergrated sinks that were fabricated out of stone. Timing was very important to us, the install was scheduled and completed as promised. We would definitely use Euro Laguna for any future projects. 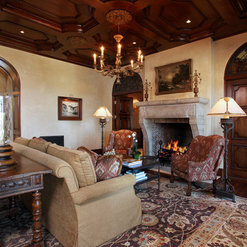 Euro Laguna installed all of the interior hard surfaces during the construction of my home in north Laguna Beach - floors, kitchen, bathrooms, bar, etc. 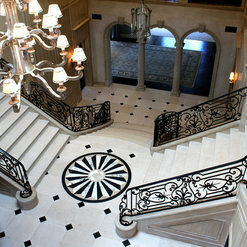 The project included everything from tile, mosaic, and slab in marble, limestone, and some travertine. It was apparent that Euro Laguna was well-respected by the various stone suppliers which facilitated the timely completion of the project. The quality of their work was amazing, and they were wonderful to work with. I worked primarily with Phillip Latini, a son of the company's founder. Phillip was knowledgeable, responsive, and patient throughout the design phase, provided invaluable suggestions, and oversaw the installation of the project. I made fairly substantial changes during the design phase and always felt that Euro Laguna's prices were very fair. My contractor, my designer, and I developed an enormous respect and appreciation for Phillip and Euro Laguna over the course of construction. They are professionals and true artisans. 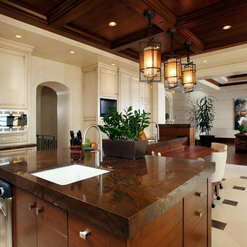 I hired Euro Laguna for my new home in Laguna Beach to install all my countertops. The work was absolutely pristine. The service was likewise perfect. Phillip and Chris were easily accessible, and any questions or concerns that I had would immediately be addressed to my satisfaction. Also, Euro Laguna was well within a reasonable price for the amount of work they had to do on my home. 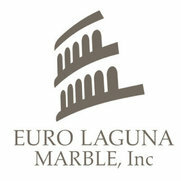 Because of this experience, I can comfortably say that whenever I need stone work in the future, I will alway use Euro Laguna. I highly recommend Euro Laguna. 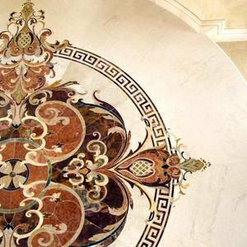 7 Ideabooks for Euro Laguna Marble, Inc. Commented: do you have information on the lights please?Thank you for the question but the house was built 5 years ago and I have no idea where the lighs came from. We work with stone. All the best. Commented: Bathroom sink!Thank you Cam. This is a custom stone sink that we made from the countertop slab which is called Bronzite or Bronzo depending on the slab yard. I believe it is a granite. It is very dense material. Commented: where did you get that soccer tableRoland, the foosball table was purchased by the owner of the home. 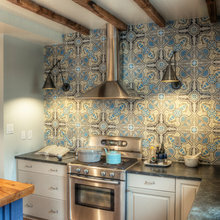 We did the tile flooring in the picture. Commented: Is the limestone sealedYes it was sealed. Commented: ChandeliersUnfortunately we are only responsible for the flooring. Sorry about that! They are very beautiful though. Commented: what type of flooring is this? is it granite? love the colourGorgeous! Really unique look.